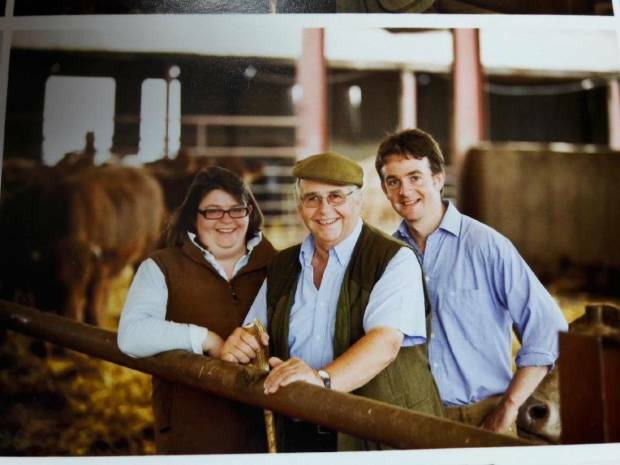 Beef Expo 2018 Farm Tours - F D Cornes & Son, Bayston Hill, Shrewsbury. The third farm tour will take visitors to Frank and Jonathan Cornes farm, at Bayston Hill just outside Shrewsbury. Here, he and his family finish approx. 1800 stores, bought in from local markets and fed on home grown fodder beet, grain and grass silage as well as ad lib straw. The ration, fed ad lib in hoppers also contains live yeast to prevent acidosis and a 38% protein pellet. They aim to finish cattle within 3 to 4 months, killing out as R4L/-U4L at approx. 400kg deadweight into Woodhead’s. On arrival cattle are all wormed and vaccinated against IBR and blackleg before being housed in straw bedded yards in groups of approx. 50. Muck from the unit is then utilised on the 1000 acres of arable ground. Two of the sheds on farm are approved finishing units (AFUs), with a third due to be added. These sheds have excellent biosecurity and provide an outlet for cattle bought directly from herds currently down with TB, an increasing issue in the area. The Cornes also finish approx. 15,000 lambs on stubble turnips grown both their own and neighbouring farms, utilising land from July through to March, that is then used for spring cropping of beet and maize. Bookings can be made online, farm tour tickets are £30 (inc VAT) for NBA members and £36 (inc VAT) for non-members and are inclusive of all transport and a hot lunch on farm.